This a residential fire of a single story Tudor style home that was caused by a faulty laptop battery charger. The policyholders were not at home at the time of the loss. The fire was significant, and all of the contents were affected to one degree or another. There was some degree of total loss, but the majority of the textiles were salvageable. The nuance that we intend to explore is the merits of using non-full service line items that reside within the CDC category. Full-service line items are equipped to deliver a reasonable and warranted cost provided the project size resides within a certain medium-large scope. If the full-service lines are employed and the project is on the low end of this range, the carrier may be inclined to under pay the claimant. 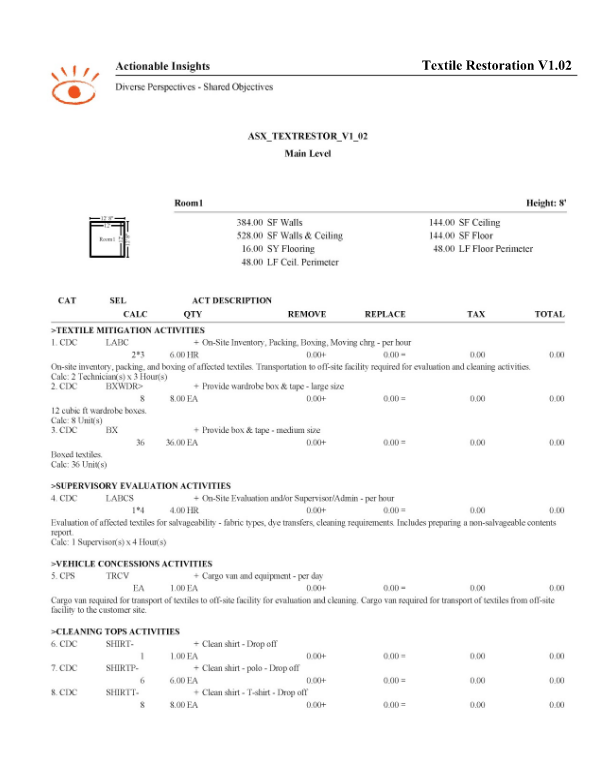 This Insight Sheet exists to clarify how one might invoice for a negative air machine with lay flat ducting. This does not seek to include or make concessions for all equipment and/or activities as it relates to a loss of this nature. Alternatively, if the full-service lines are employed and the project is on the high end of this range, carriers may be inclined to overpay the claimant. This Insight Sheet was created with an eye towards establishing a methodology that offers fair and reasonable reimbursement for warranted incurred cost regardless of the size of the project. 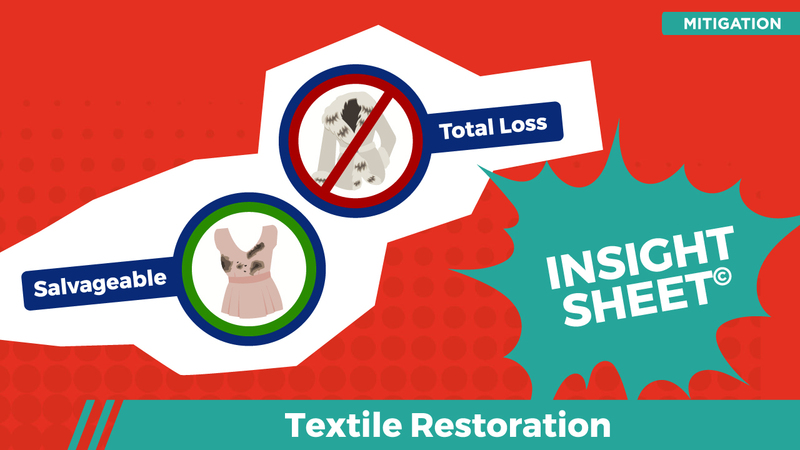 This Insight Sheet exists to clarify how one might invoice for textile restoration. This does not seek to include or make concessions for all equipment and/or activities as it relates to a loss of this nature.